It’s always gratifying to have a celebrity fan, and even better when it happens to be Raymond Blanc. 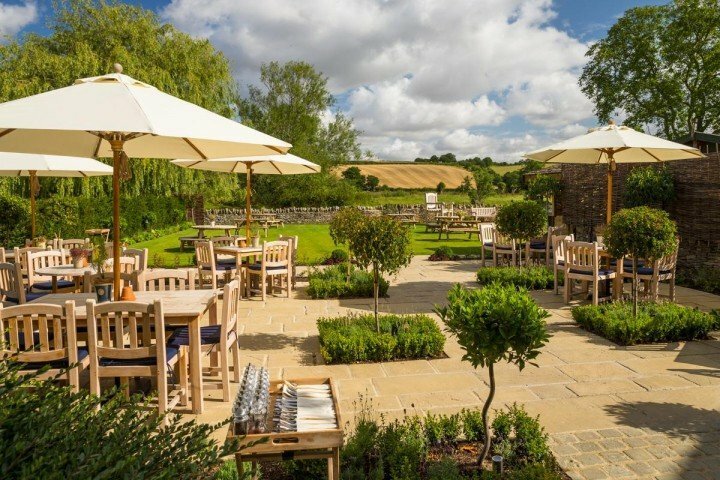 The Mole won the Le Manoir aux Quat’ Saisons Award for excellence in the Oxfordshire Restaurant Awards in 2015 and hasn’t looked back. 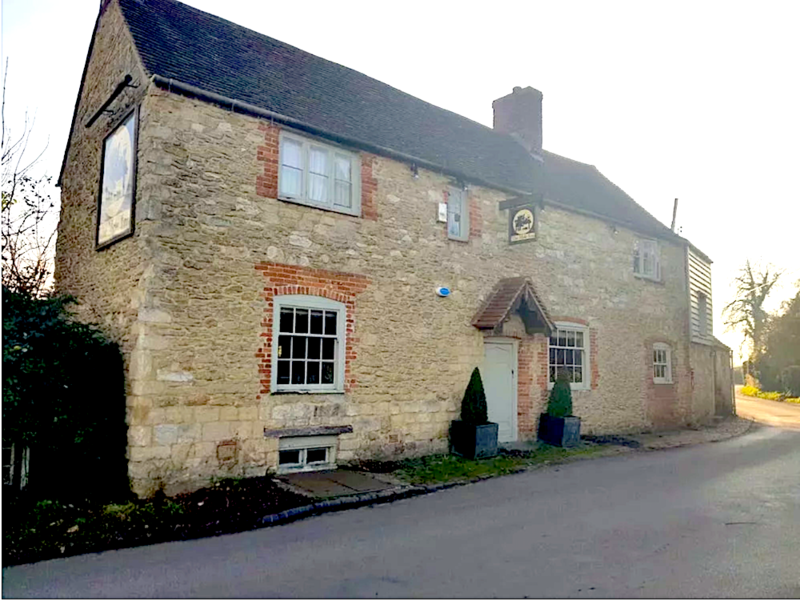 You’ll find this attractive stone in the diddy village of Toot Baldon (not to be confused with the other Baldons nearby – Marsh and Little) just 5 miles outside Oxford though you very much feel that you’re in the countryside here – there are fields all around. The Mole is the sister pub the excellent The Mole and Chicken at Easington, mid Bucks (useless fact – William and Kate used to decamp here when they were dating! ), so the creds are good. We’re talking country chic here, with exposed beams, open fire places, stone walls, neutral paintwork and wooden floors. 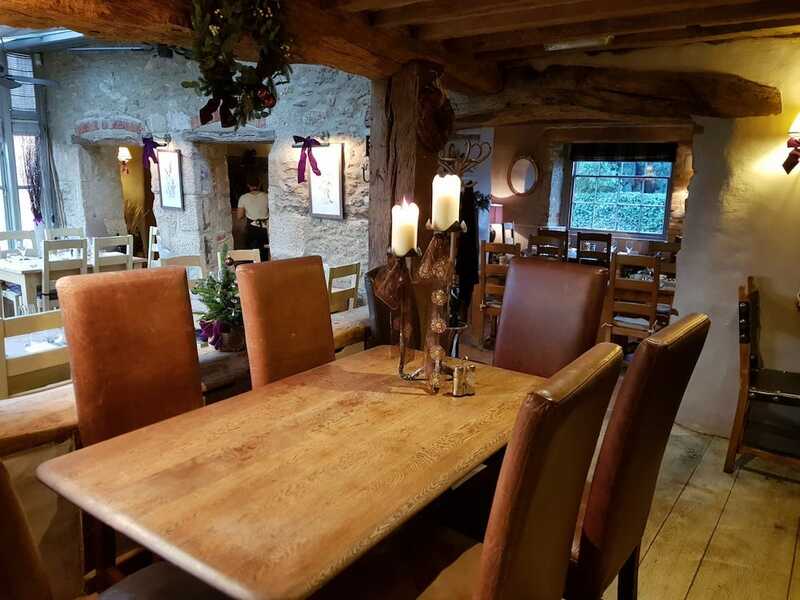 It’s all tastefully done and oozes comfort – nothing you haven’t seen before, but nothing wrong with that when the food is as good as it is here and there’s a buzz about the place. The Mole was very busy the day I visited for Sunday lunch with a mix of couples, groups of friends and families (those with youngsters relax – it’s child-friendly here with high chairs and kids menus). Too flippin freezing to make use of the attractive largely paved courtyard garden but I’m imagining a return for a glass of chilled rosé on a summer’s day amongst the lavender. 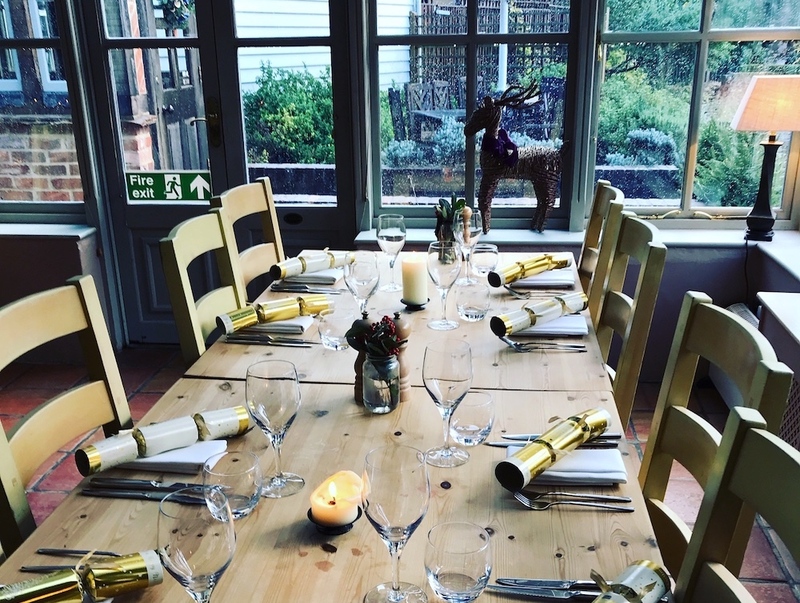 The menu was a mix of pub classics such as roasts and steaks (hung for at least 28 days) and more adventurous dishes, including shredded duck and pork belly salad, guinea fowl supreme and fried polenta with baba ganoush. Specials included moules, rainbow trout and speciality breads. In line with any restaurant worth its organic sea salt these days, there’s a strong emphasis on local, seasonal produce and the quality of the ingredients shone through in the dishes. 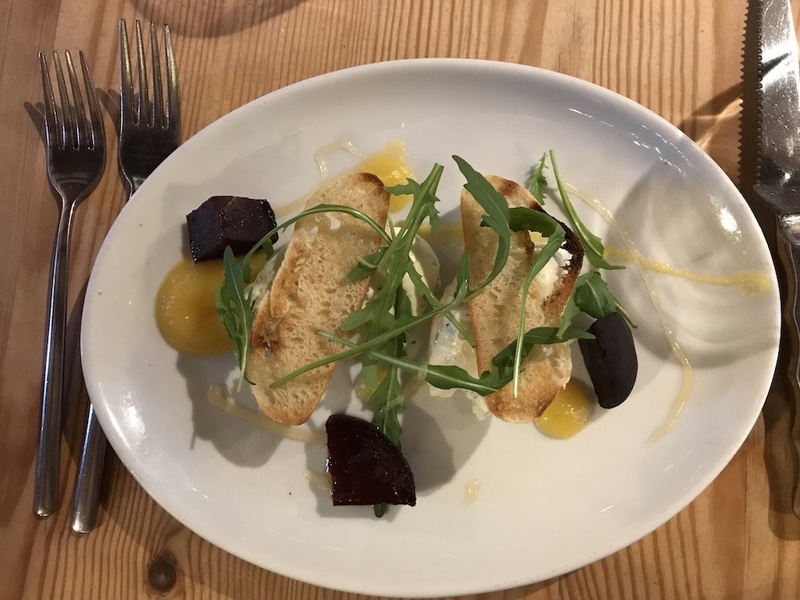 I went for the goat’s cheese & chive mousse, hickory smoked beetroot, golden beetroot puree, truffle honey and pea shoots which tasted really fresh and light. 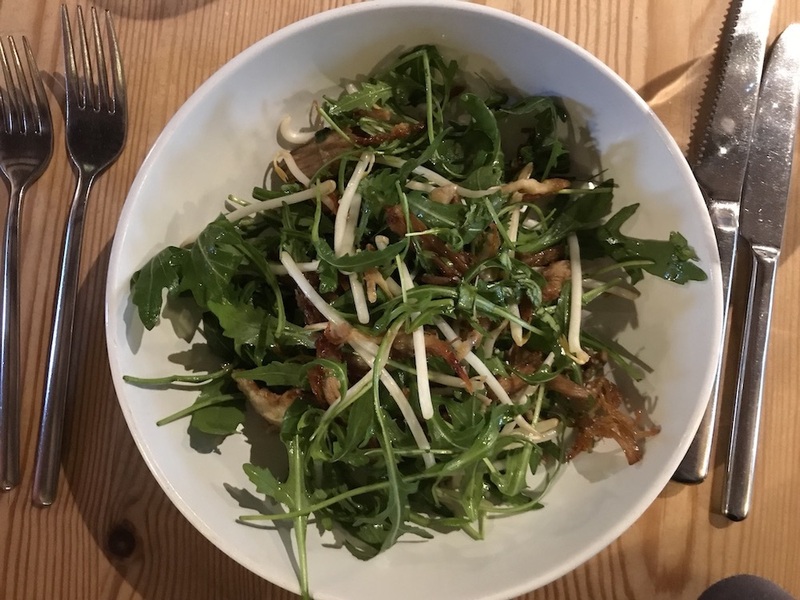 My husband plumped for shredded duck & pork belly, chilli, bean sprouts, lime, coriander & rocket salad. It had just the right amount of spice with crispy meat and a zingy dressing. 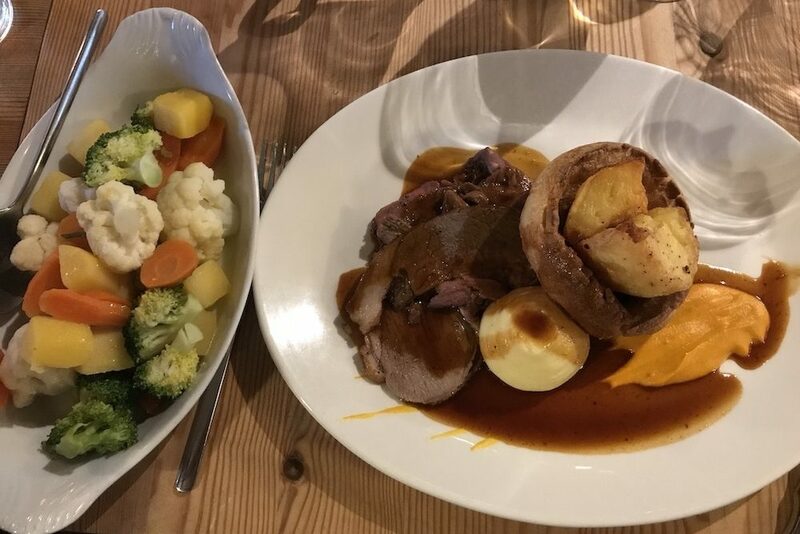 For mains, I honed in fast on the roast leg of lamb with Yorkshire puds, goose fat roasties and market vegetables – generously portioned and plenty of gravy (often my bugbear when eating out, when a dribble of jus is all that arrives). The steak and chips, devoured with glee by my son, and guinea fowl supreme (with rosemary & garlic dauphinoise, caramelised onion puree, wilted spinach and tarragon jus) were equally top notch. 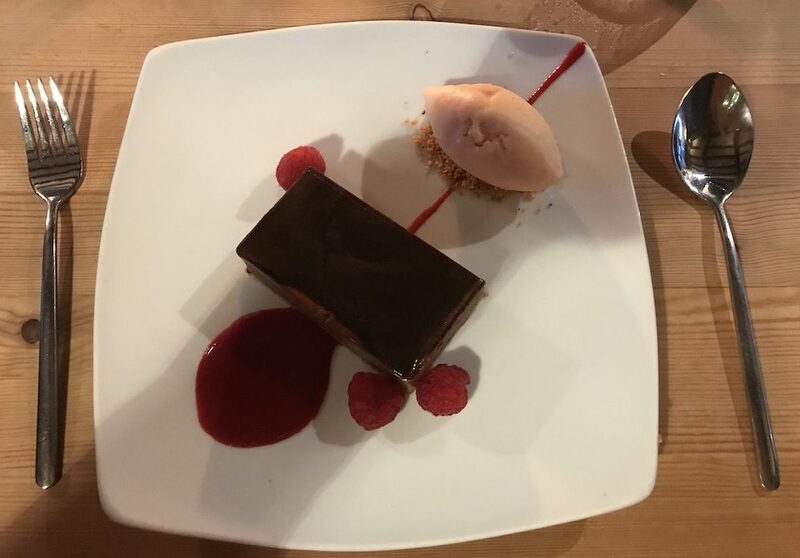 Dessert was a sticky toffee pudding with toffee sauce and vanilla ice cream and a chocolate pavé with hazelnut praline and blood orange sorbet – how pretty is this dish? I was very happy with my Australian Chardonnay (£20 a bottle and, yes, I did share like a good girl) from the short wine list, and there was a decent selection of fizz, red and other whites, plus 3 rosés to choose from. A decent coffee rounded off the meal and the feeling was very much, ‘when shall we come back again?’. Oxford city centre is only 5 miles away but if you want to stick to the countryside, you’re only a five minute drive from the lovely Harcourt Arboretum – visit in April/May when the bluebells are in a frenzy and the peacocks are strutting around. 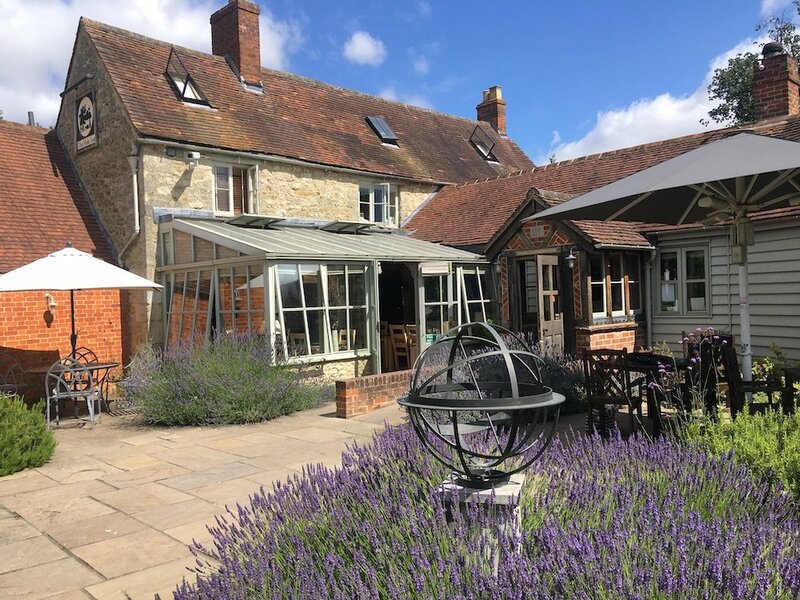 You’re very close to Garsington (it’s famous opera season runs from May to July), or you’re close-ish to Abingdon with its lovely lock, riverside walks and extensive children’s playgrounds and lido. For super-rural getting back to basics, visit the much loved Wittenham Clumps and the Earth Trust, 20 minutes south. 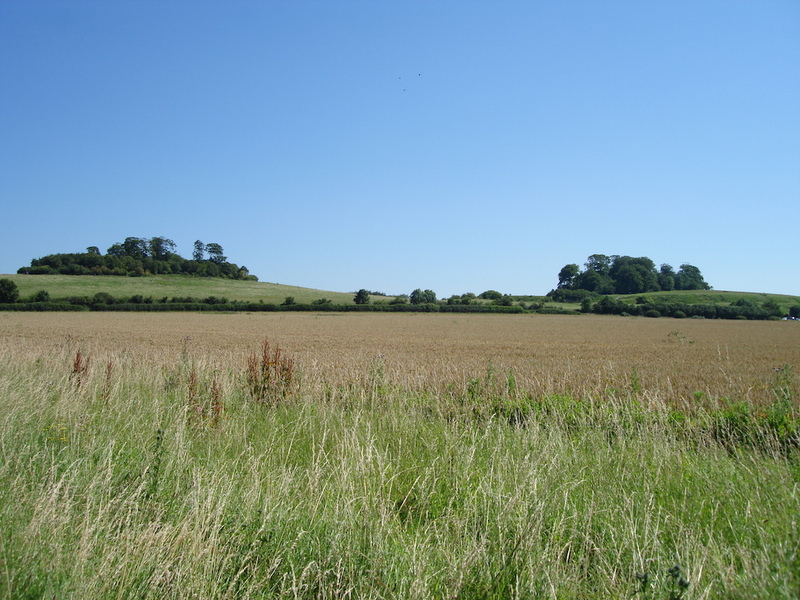 The Clumps consist of Round Hill and Castle Hill from which you get stunning views of the open countryside. 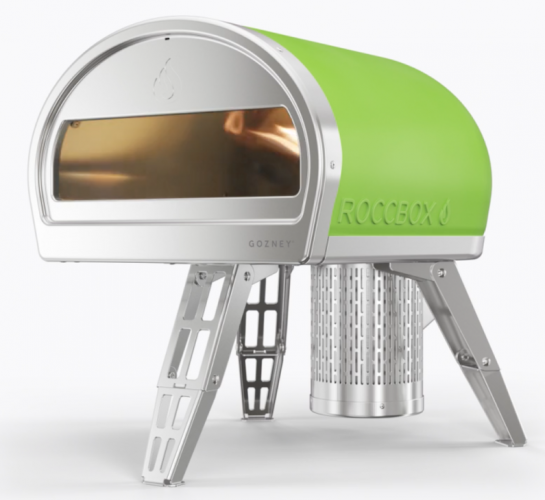 Good for: Everyone who wants a well-finessed meal in country surroundings without any formality. Kids are well catered for and there’s the safe courtyard area if young ones need to give it serious tantrum outside. Not for: If you’re looking for a formal fine dining experience with starched tablecloths and a quiet ambience, this isn’t it. I’m sure it’s less busy on weekdays but this inn is a relaxed option – there are no airs and graces. The damage: Nudging the high side for a quality gastropub fare. Starters are generally £8, mains from £16 for roasts up to £30 for fillet steak. Sides are extra. Puds around £7 – £8. Wine varies from £20 – £53 a bottle and starts at £3.95 for a small glass. 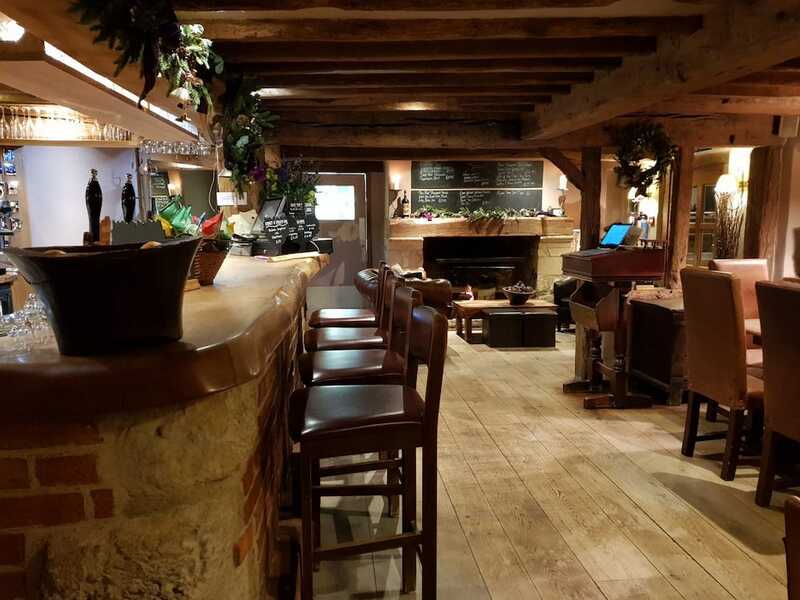 The Mole Inn, Toot Baldon, Oxford OX44 9NG, Tel: 01865 340 001.